The screen-shifting scene took on a purplish hue last week, as the four-letter acronym “DECE” became a brand: UltraViolet. Refresher: DECE stands for “Digital Entertainment Content Ecosystem.” It’s a consortium of movie studios, digital rights management (DRM) providers, cable operators, consumer electronics companies and retailers. Together, this herd of 60+ Goliaths wants to make it so that any movie you buy, no matter where you buy it, can play on any of your screens, no matter where you (or your people) are. Legally. It’s “TV Everywhere,” for movies. A digital locker for all your digital titles. Maybe you see “Julie and Julia” on demand, and opt to own it. Click! Hello, “electronic sell through,” abbreviated EST. It means you own it (which explains why cable likes DECE). Maybe you buy it straight from your Blu-Ray player (which is why CE companies like it). The five participating DRM companies (Adobe, Intel, Microsoft, Sony, Widevine) like DECE because it needs a secure way for Consumer Jane to share her purchased titles with people within her defined “circle of trust.” Dad’s in the hospital for a few days? Dad loves John Wayne. Dad’s laptop, meet True Grit – gifted, but not re-paid for. From Consumer Jane’s perspective, the movies she buys or downloads are hers to watch, keep, burn to DVD, or stream – on whichever screen. HDTV, tablet, gadget. The technology of it is – big surprise – software, staring with a common file format, open and interoperable across the five different DRM systems. It won’t work without some kind of digital clearinghouse – a cloud, in essence, for consumers to access their registered titles. Some news there, too: Tim Dodd, the long-time Time Warner Cable strategist (and my favorite Kiwi curmudgeon), most recently with Warner Brothers, is making the UltraViolet introductions, as freshly appointed VP of new media and entertainment for NeuStar. Yes, Neustar – the keeper of cell phone numbers and, as a result, “number portability.” The company was named by DECE as its clearinghouse at the 2010 Consumer Electronics Show; Dodd joined last month. Watch for UltraViolet to emerge as a consumer brand later this year or early in 2011, under a purple and gray logo dubbed “UVVU” – pronounced “you view” (more at uvvu.com). What’s New in MoCA 2? 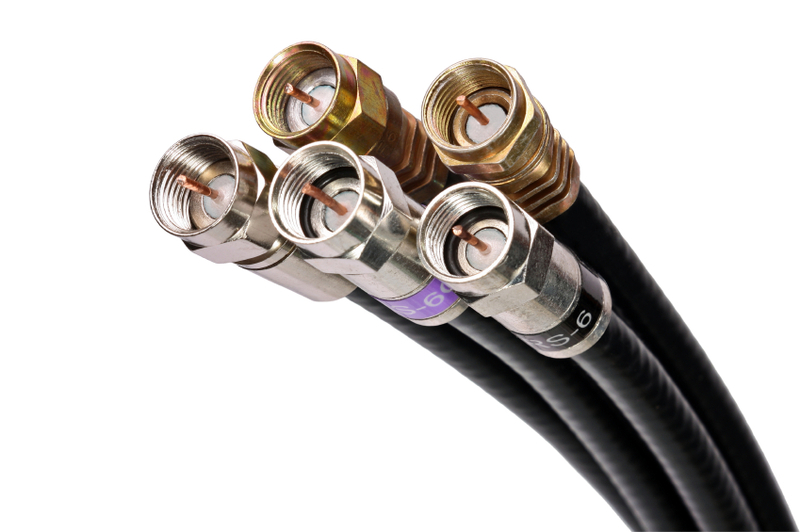 By now, it’s nearly a foregone conclusion that cable providers will take advantage of a somewhat eponymous technology – MoCA, for Multimedia Over Coax Alliance – to handle the business of moving the bits of video, voice and data over the coaxial cables that already interconnect our various cable gadgets. Last month, a second version of the MoCA spec emerged, which seemed a good enough reason to take a closer look at what’s happening, in this inter-connectable world of Ethernet, WiFi and its 802.11 flavors (n, g), HomePlug and HPNA. Know going in that there’s little truth in networking, at least as it relates to the advertised speeds emblazoned upon the boxes in the home networking aisle. If it sounds too good to be true (500 Mbps! ), it usually is. Here’s why. In any communications network, there’s such a thing as MAC and PHY. “MAC” stands for Media Access Control. “PHY” stands for “physical.” In raw terms, “PHY” is the gross, “MAC” is the net. In tech terms, the “physical layer,” or “PHY,” is where bits are modulated and coded. The media access control, or “MAC,” is where the stuff happens for multiple devices on a network to communicate – how they get access, how they listen, how they request a slice of the PHY, for transmitting. Those activities of the MAC create overhead, in the form of extra bits, moving through the network. Taking up room, in other words. Service providers, for that reason, are much more interested in the MAC rate than the PHY rate. Also interesting, from a “green” perspective: The 2.0 version of MoCA includes sleep and standby modes for networked devices. This is good, because set-tops, modems and their ilk do draw power, and don’t currently have either mode. Remember, “specifications” are blueprints. From there, specs like MoCA 2.0 go to chip manufacturers, then to device manufacturers, to build. Translation: Add about 18 months, realistically, until you’ll see MoCA 2.0-based gear in homes. But it’s coming, and that’s good, because it’ll be needed for homes simultaneously flinging five or so HD streams around to connected screens. Yikes. Linear video remains the bread-and-butter for established cable (and satellite, and telco video) distributors. If the cash cow dies?perish the thought. When worried, ask more questions. Does “linear is dead” mean that we won’t be able to leave the TV on in the background – without first creating a playlist of things to watch? Does it mean that cable networks and the big-four broadcast networks will stop programming in day parts, shifting instead to some kind of 100% on-demand model? Seems unlikely. Ask this of the “linear is dead” people: Are you equating “cord cutting” with the “death of linear”? If so, that lessens the anxiety somewhat. TV didn’t kill radio, and online shopping didn’t kill “brick and mortar,” to name two relevant parallels. 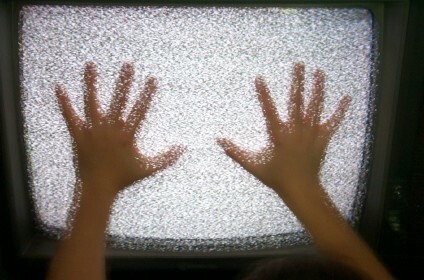 The way to phrase the backatchya question in tech terms is this: Are you saying that linear television will shift, technically, to more of an on-demand framework – away from broadcast, and toward multicast and unicast? That’s a more accurate – and less fatal – way to frame it. It’s not that networks will stop programming linearly, or that people will stop watching TV linearly. We won’t be forced to make playlists (or accept other peoples’ playlists) in order to leave the TV on in the background. These days, linear video distribution is moving away from satellite delivery, toward national fiber backbones, called CDNs (Content Delivery Networks), which connect to headends. From there, it’ll move toward point-to-point delivery, to the screens in our lives that want video. As someone who comes from a long line of very gifted worriers, I offer this: Try to remember what you used to worry about. For me, it was two-way plant. There wasn’t enough, in the early 1990s (understatement) – the industry’s annual construction forecasts always put the amount of two-way plant at 30% or less. Now, hardly anything works without two-way. It got done. Linear television isn’t going to die. The plumbing of it will change. And since it’s counterproductive to wring your hands while rolling up your sleeves, I’d suggest the latter as the safest course of action.